Fresh off an 11-2 record in 2016, with new faces on roster, the Cavaliers were hoping to make a good impression to start off the season. 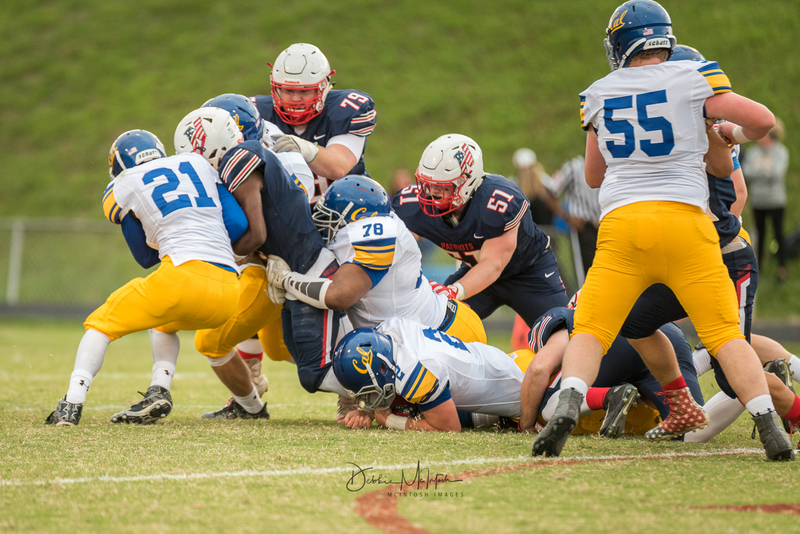 Calvert opened the 2017 season against county rival, Northern Patriots, with high hopes. The Cavaliers received the opening kickoff hoping to start fast. Calvert’s Gavin Lusby returned the ball to the 30 yard line on the kickoff. 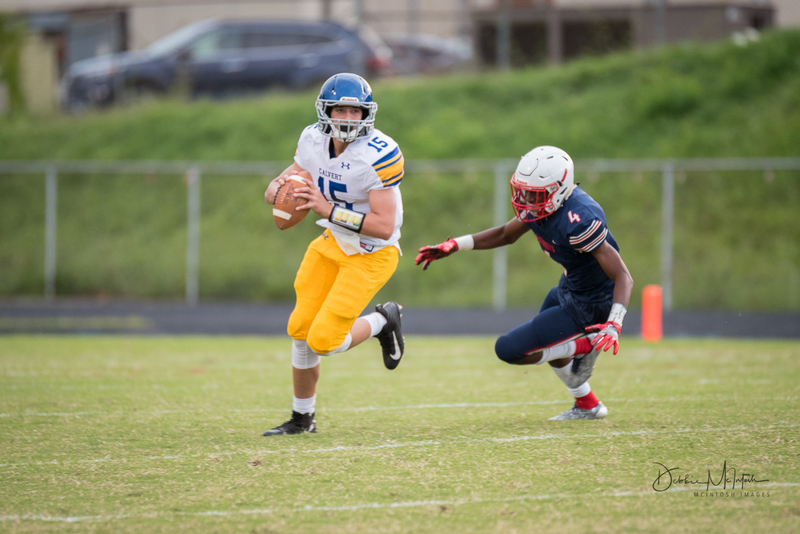 On the first drive, Calvert quarterback, Michael Floria, struggled to fill the shoes of last year’s senior sensation, Jack Lanham. 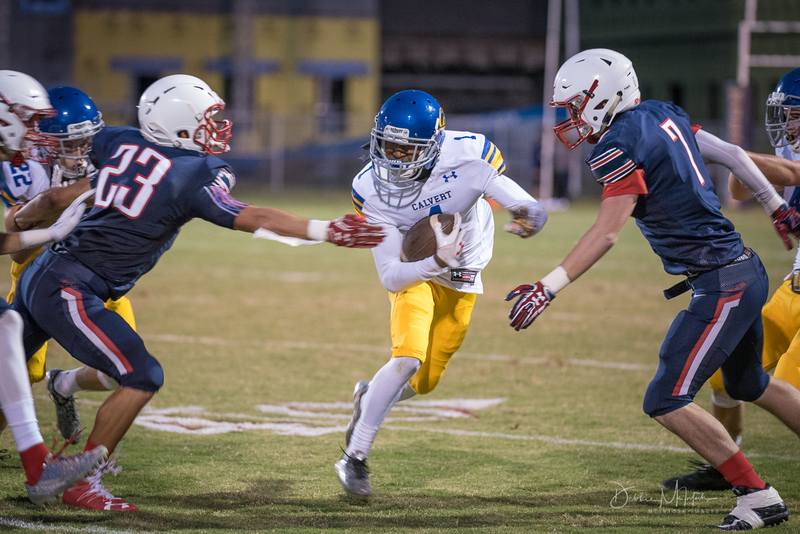 Calvert’s offense seemed to change into a run first offense as they relied on new varsity running backs, Leon Campbell and Dre Mackall, on the first series. Calvert only gained one first down, on their first series, with Micheal Floria completing a pass to Camden Crowdis. But, the drive did not produce any points for Calvert. After Calvert’s punt, Northern started with the ball at their 20 yard line. New quarterback Reese Crounse ,who transferred from Patuxent High School, lead the Patriots offense. Crounse handed the ball off to Xavier Harris for the first two plays of the drive. On third down, along with a third consecutive run by Harris, picked up the first down for the Patriots. Crounse completed his first pass, setting up Northern inside the 10 yard line. On the next play, Xavier Harris made an immediate impact scoring Northern’s first touchdown. This gave them an early 7-0 lead. After the Patriots kicked off, Calvert’s offense started to come back to life. Leon Campbell and Dre Mackall continued to pound the rock and picked up some first downs. However, a promising drive ended with quarterback Michael Floria being sacked by Northern. The Patriots offense continued to shine as Reese Crounse completed another pass to Karon Stevenson. Crounse threw past the Cavaliers with a 49 yard strike to Xavier Harris to double Northern’s lead to 14-0. 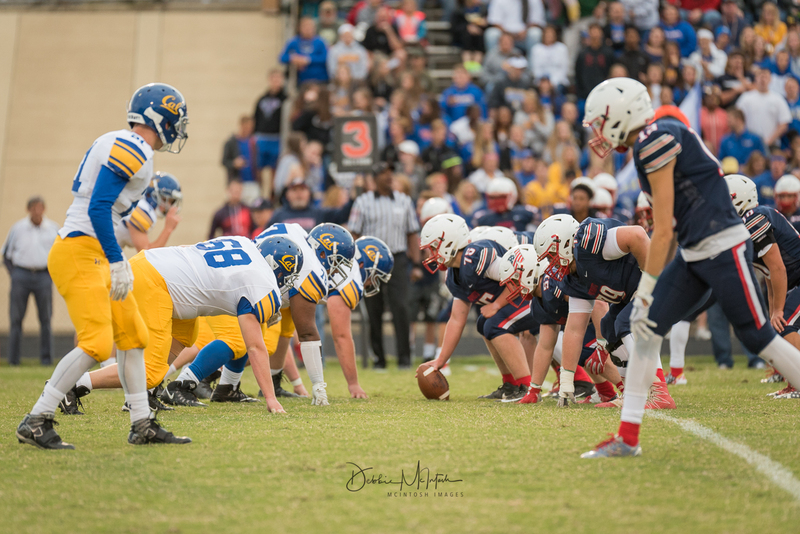 Calvert’s sluggish start continued with a false start penalty, which forced the Cavaliers into a first and 15. They ended up punting the ball after only three plays. Northern’s Karon Stevenson returned the punt for a touchdown extending the lead to 20-0. Desperate for answers, the Cavaliers still could not find any rhythm as they had to punt again. Northern continued to break through the Cavalier’s defense with Reese Crounse throwing a 53 yard touchdown pass to Xavier Harris to raise the score to 27-0. 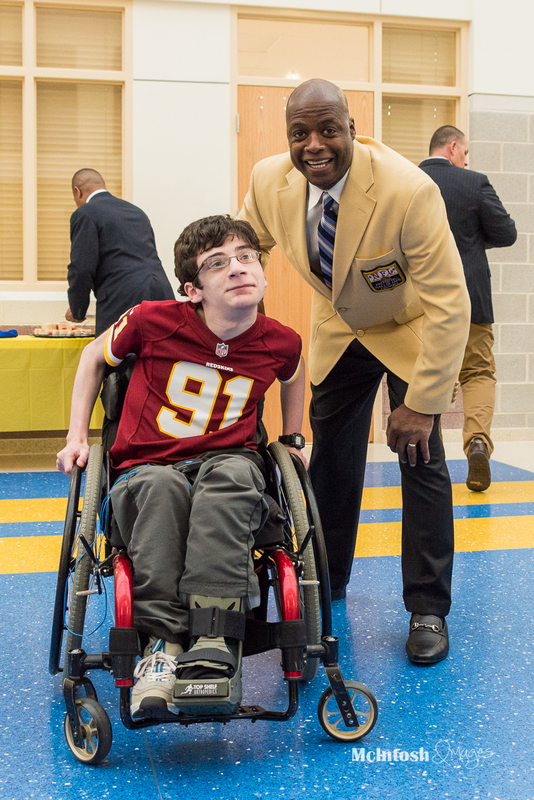 On Northern’s next drive, the Crounse-Harris connection continued. Northern’s throwing attack continued to persist and once again Crounse competed a 49 yard touchdown pass to Xavier Harris giving Northern a 35-0 lead. Finally, the half ended with Calvert down 35-0. The second half did not begin well for Calvert, as Northern jumped on the Calvert secondary with a 62 yard touchdown from Reese Crounse. This was the fourth touchdown of the night to Karon Stevenson, extending the lead to 42-0. Calvert was forced into another three and out. Northern’s back up quarterback completed a touchdown pass to Cameron Wilson, increasing the score to 49-0. 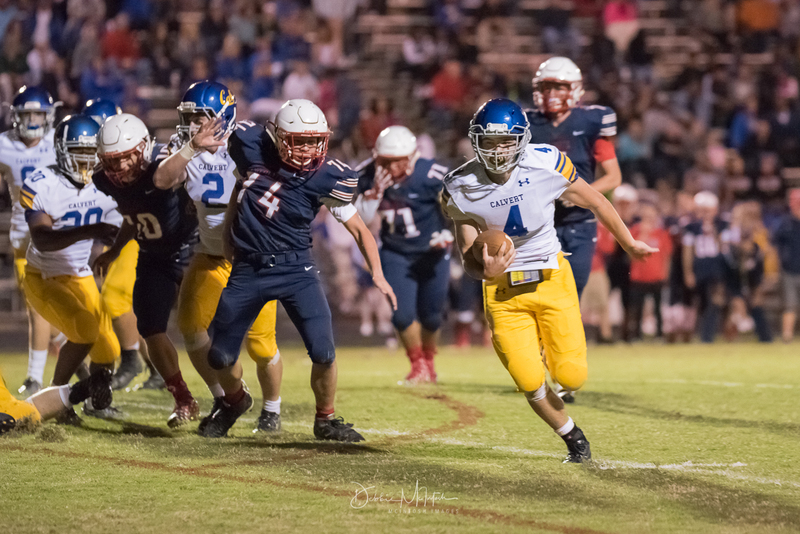 In the final minute of the game, Calvert avoided a shutout as Gavin Lusby ran the ball for a touchdown to put Calvert on the board 49-6. Kicker, Michael Woollen, scored the extra point making the final score 49-7. 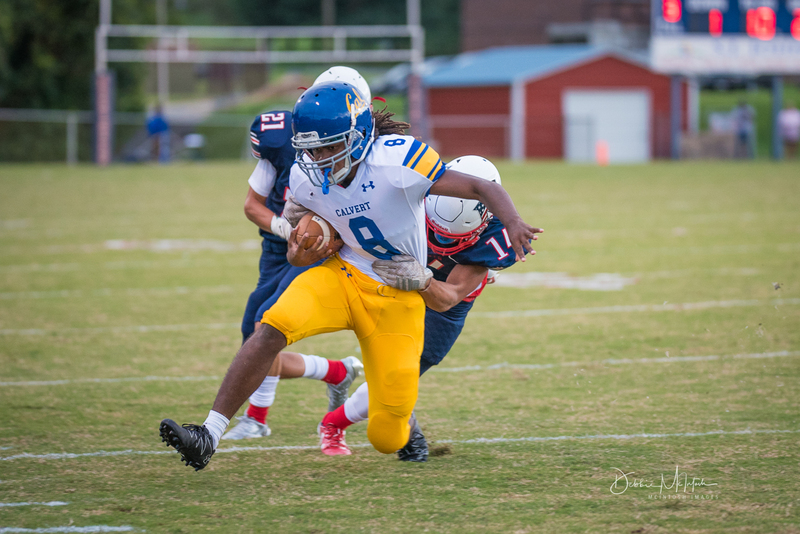 Calvert will try to bounce back against the Leonardtown Raiders next Friday night.